Our price:£ 197.50/pcs. tax incl. 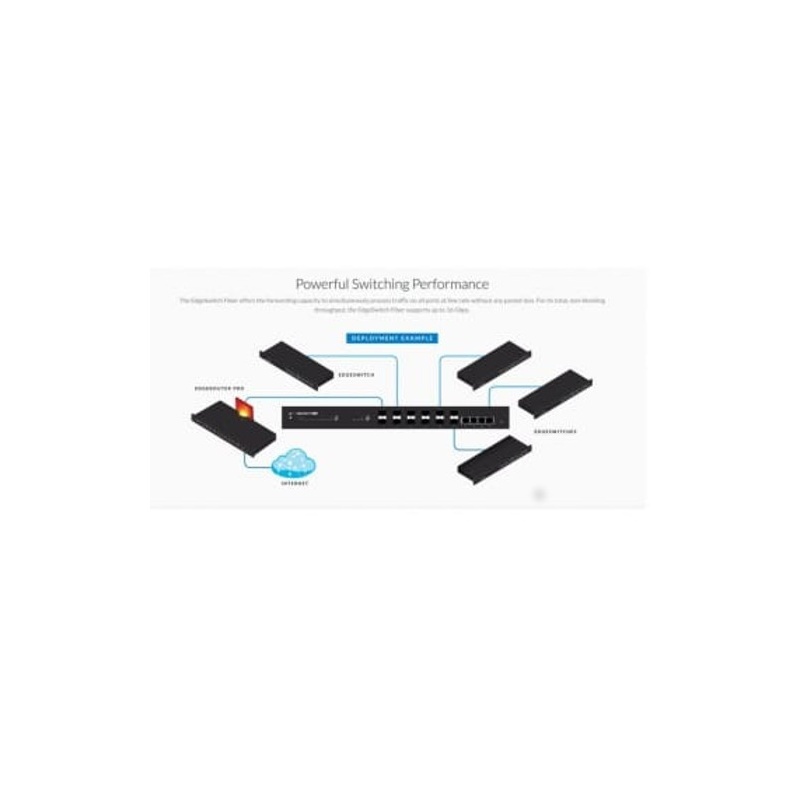 Switching Performance- The EdgeSwitch Fiber offers the forwarding capacity to simultaneously process traffic on all ports at line rate without any packet loss. 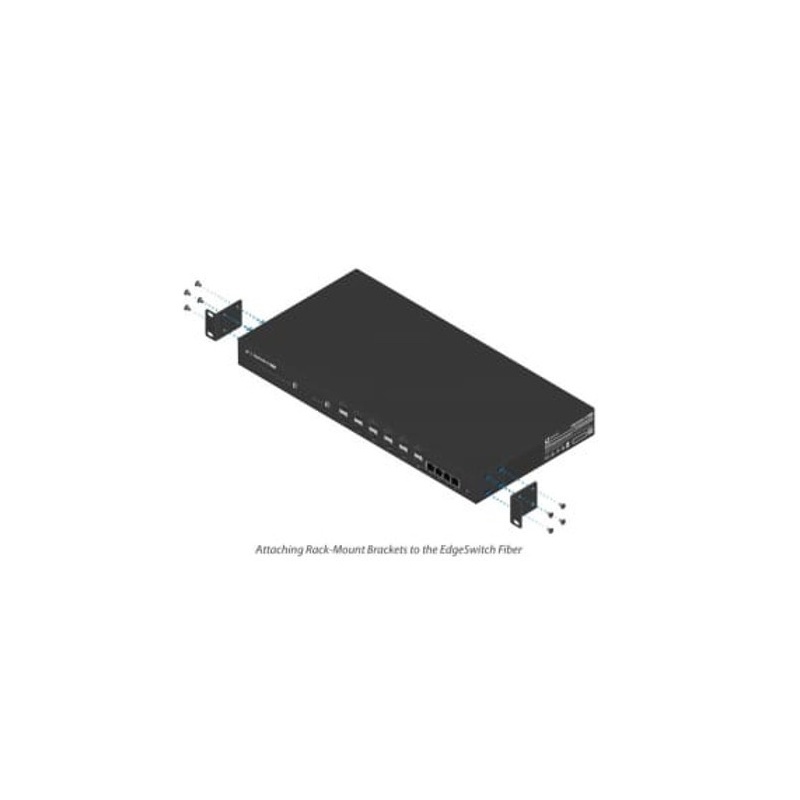 For its total, non-blocking throughput, the EdgeSwitch Fiber supports up to 16 Gbps. 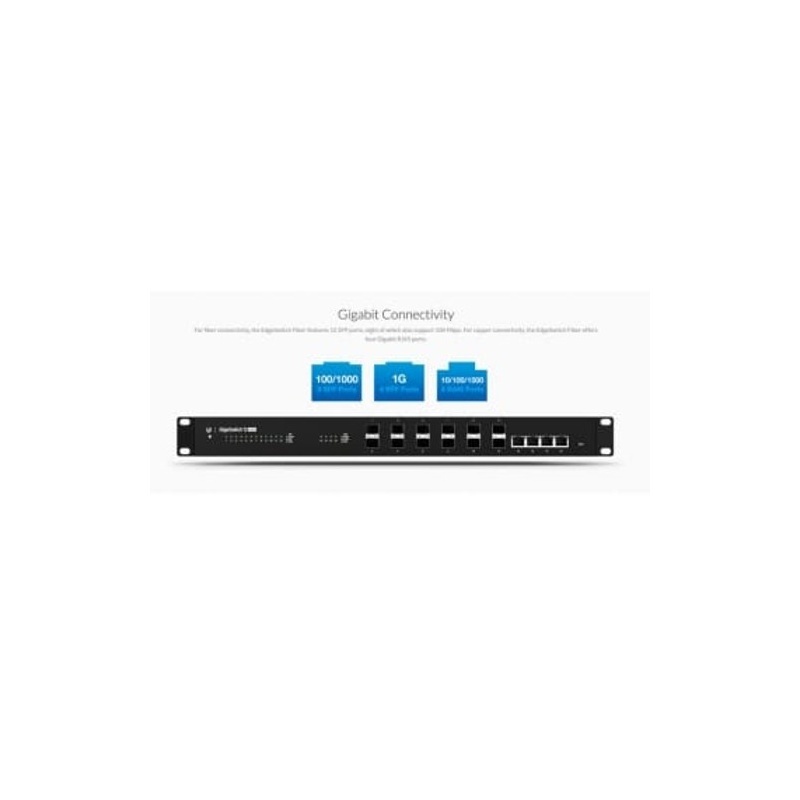 Distribution Layer- The EdgeSwitch Fiber offers high performance and low latency as an aggregation switch. For fiber connectivity, it features 12 SFP ports, eight of which also support 100 Mbps. For copper connectivity, the EdgeSwitch Fiber offers four Gigabit RJ45 ports. 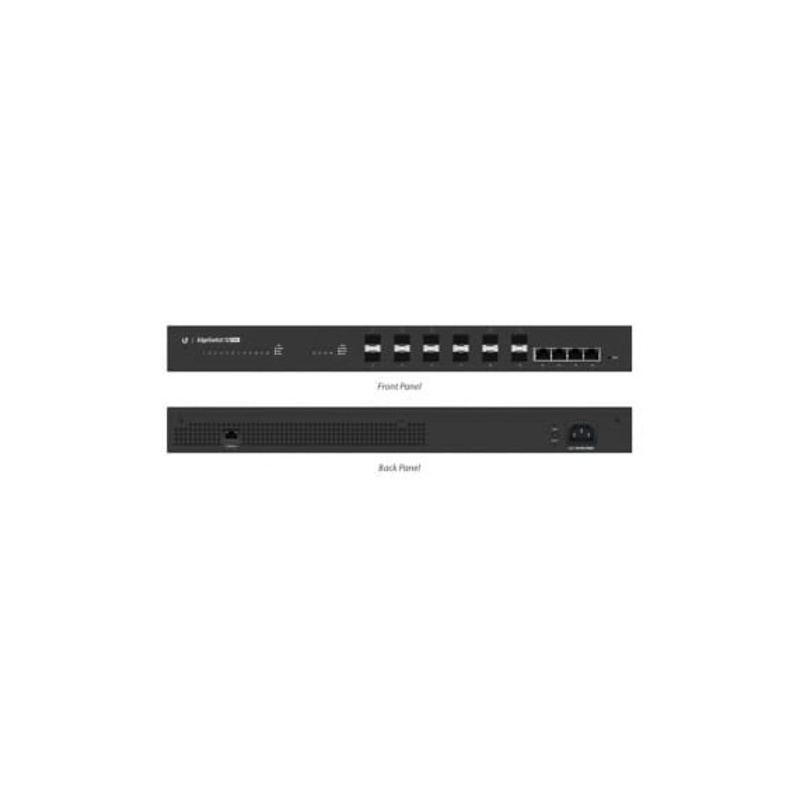 The Ubiquiti EdgeSwitch 12 Fiber is the first dedicated fiber switch in the Ubiquiti range. 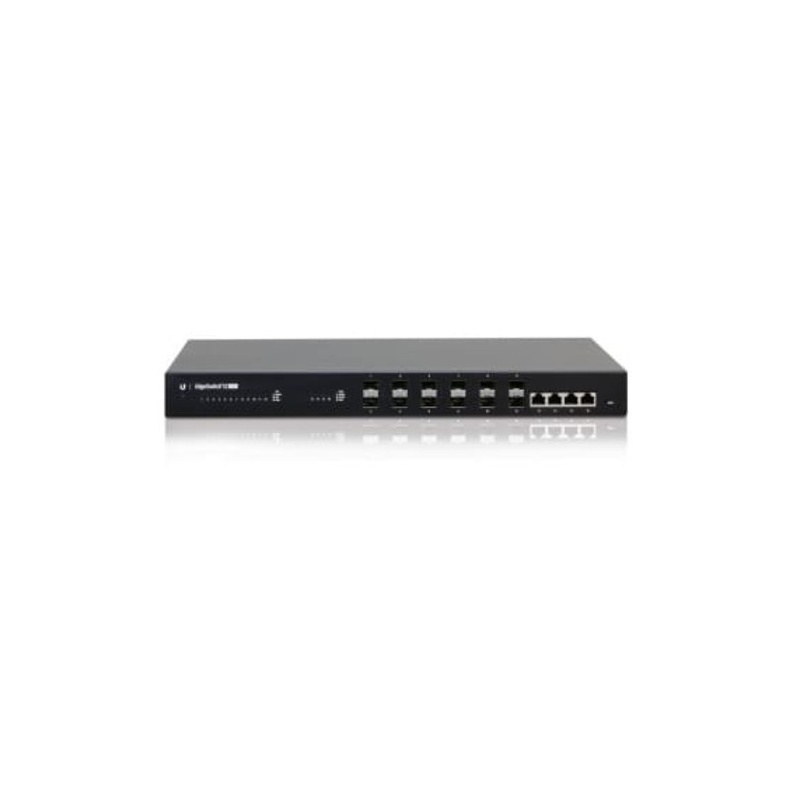 Boasting 12 Gigabit SFP ports and 4 Gigabit RJ45 ports, it is well suited to large, high throughput networks.